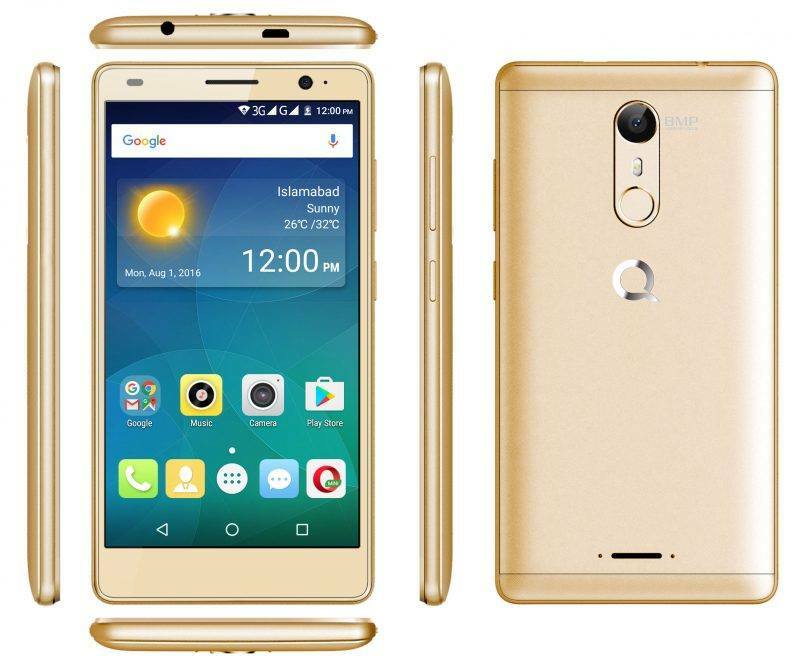 QMobile is introducing one more terrific Smartphone with amazing features for its valued customers. In the past QMobilehad launched QMobile Noir S6 in market after excellent selling responseof Noir S6 now it is launching QMobile Noir S6s and QMobile Noir S6 plus for its valued buyers. QMobile Noir S6s is fantastic hand-set for all those cellular operators who mostly use multiple things through Smartphone so this cellular phone is given Android Marshmallow upgrade version along with speedy Quad-core processor of 1.3 GHz. Buyers can easily avail this cellular phone for going multiple tasks without facing hanging problem. It is also providing some terrific incentives to use in this cellular phone. The camera quality is also phenomenal in this hand set and users can avail 8.0 mega pixels rear and 5.0 mega pixels front camera feature in this cellular phone. It is included finger print sensor option in this cellular phone and it is really unique thing has been added in this product for usage. 3G enabled in this cellular phone along with regular Smartphone incentives. The rate is also very reasonable of this hand-set and buyers can enjoy latest Smartphone technologies after buying this mobile phone in reasonable price. Get complete cellular phone specification updates from the below. Rear Camera: 8.0 mega pixels (Auto-focus). Front Camera: 5.0 mega pixels (Face-detection). Display Colors: 16M Colors, 480 dpi and HD IPS Display. Bluetooth 4.0, WI-FI, WI-FI Hotspot, GPRS, EDGE, WLAN and A2DP. Audio: FM Radio, MP3, MP4, 3.5mm audio jack, WMA Player, WAV Player and Other multi-media players. Ringtones: Polyphonic ringtones, MP3, Sound-recorded, Downloadable and WAV Files. Other Features:GPS Supported, A-GPS Supported, Multi-touch display option 5-point, Calendar, Speaker-phone, Document viewer, Photo/Video editors, Google search, Light sensor, LED Flash camera option and Proximity sensor. Latest Features: Fingerprint sensor, Corning Gorilla Glass 3 Touch, Voice memo, Dial Memo, Crystal Display, Smile detection camera option, Dual-Standby, Long battery standby, External micro-SD supported up to 128 GB and Accelerometer sensor. Available Colors: Grey, Gold, Black and White.